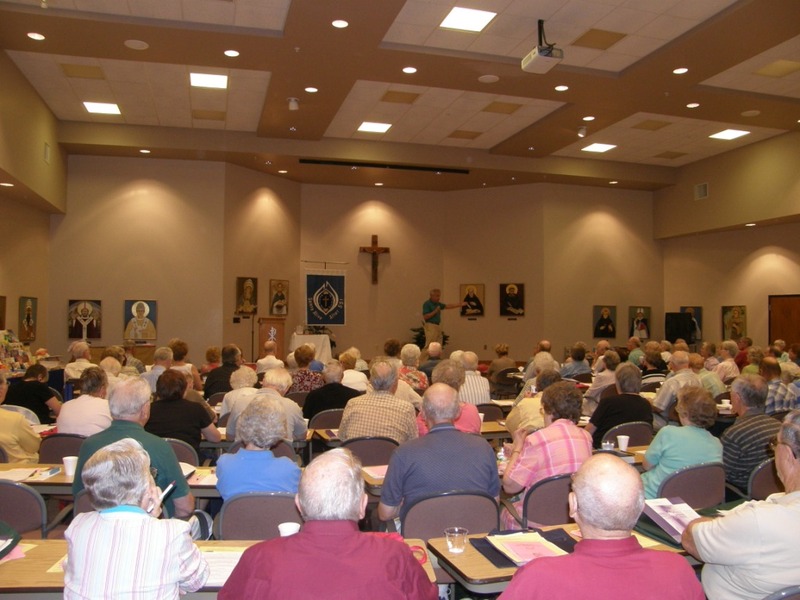 Saints Alive After 55 is a ministry for older adults in the Kansas District. The group holds a three-day gathering each year that features keynote speakers, topical sessions, entertainment, and fellowship opportunities. The 2018 gathering was held July 29-31 at the Spiritual Life Center in Wichita, with keynote speaker Rev. Barrie Henke, President of the Oklahoma District LCMS. The theme for the 2018 event, which marked the 30th anniversary of Saints Alive, was “Great Is Thy Faithfulness,” based on Lamentations 22-23. The three-day event included talks by Rev. Henke, Bible study sessions, speakers representing Lutheran Church Charities (LCC) Comfort Dogs and Fairmount Coffee Co. at Wichita State, musical entertainment, great fellowship and a meaningful closing service. Details for future events will be posted as they become available. If you’d like additional information about Saints Alive After 55, contact Tami Lierz in the District Office at tami@kslcms.org.